A new survey by the Economy Ministry shows that the city, all by itself, is responsible for nearly one fifth of all of Israel's exports. City fathers in the central Israeli city of Petah Tikva can hold their heads up proudly. A new survey by the Economy Ministry shows that the city, all by itself, is responsible for nearly one fifth of all of Israel's exports. 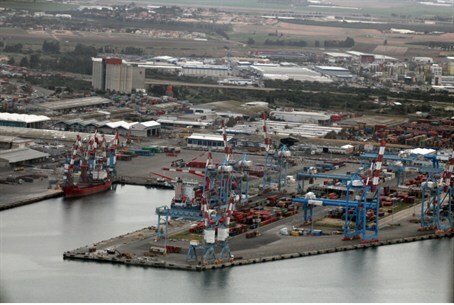 Following Petah Tikva's 17.2% share of Israel's exports is Haifa, which had a 15.6% share, and Ashkelon, with 12.7% of exports. Israel's business center, Tel Aviv, was responsible for only 10.2% of exports. Jerusalem, the capital, had only a 5.2% share. The study provided figures for overall exports, as well as for exports by large companies, which did a volume of business of at least $100 million a year. The study showed that more of those larger companies were located in southern and northern Israel, while the smaller exporters, who were responsible for 43.5% of all exports, were in the Tel Aviv area. In 2014, the study showed, a total of 7,883 Israeli companies sold products or services abroad, 31 of them in volumes of $100 million or greater.